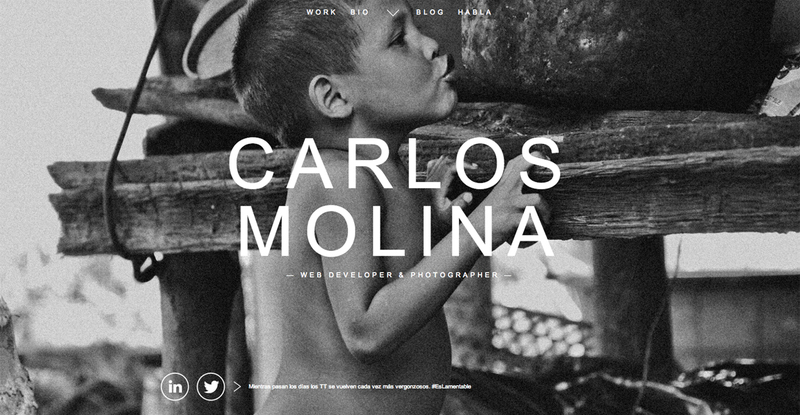 Our latest Most Loved One Pager is for the portfolio of developer and photographer Carlos Molina. Take a good browse around this One Pager to experience the love put in… super slick transitions, frightening preloaders, quality form error checking and loads more – all in a responsive design. The moving textured effect is also a nice touch! I'm a web developer and photographer who lives in the heart of the creative industry.